International Woodskin is a flexible wood oil/varnish hybrid that acts like a skin for your wood. Microporous properties allow Woodskin to breathe with your wood; tiny holes let the paint film expand and contract but are small enough to repel water – the cause of mould and mildew. Woodskin is very easy to apply; no need to thin or sand between coats. With good flow and levelling, Woodskin dries to a subtle, translucent sheen. Woodskin penetrates deep into your wood, leaving a thin surface film that will not crack or flake. Minimal maintenance requirements – simply clean and reapply season after season – the Natural Teak colour of Woodskin will showcase the beauty of any wood. 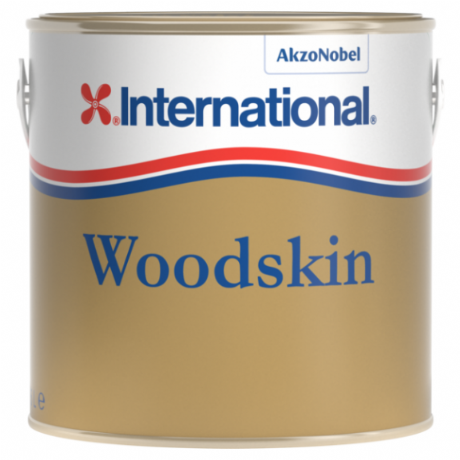 Woodskin is suitable for use on all types of wood, including oily woods such as teak and iroko.